What’s Happening in the Market in May 2018? Is the market shifting? It is too early to call and the real estate statistics show demand still far exceeding supply, however still low, there has been a significant increase in inventory. o 1,230 active properties for sale is the highest number in the past 20 months or since August 2016.
o Less than one month’s supply of inventory. 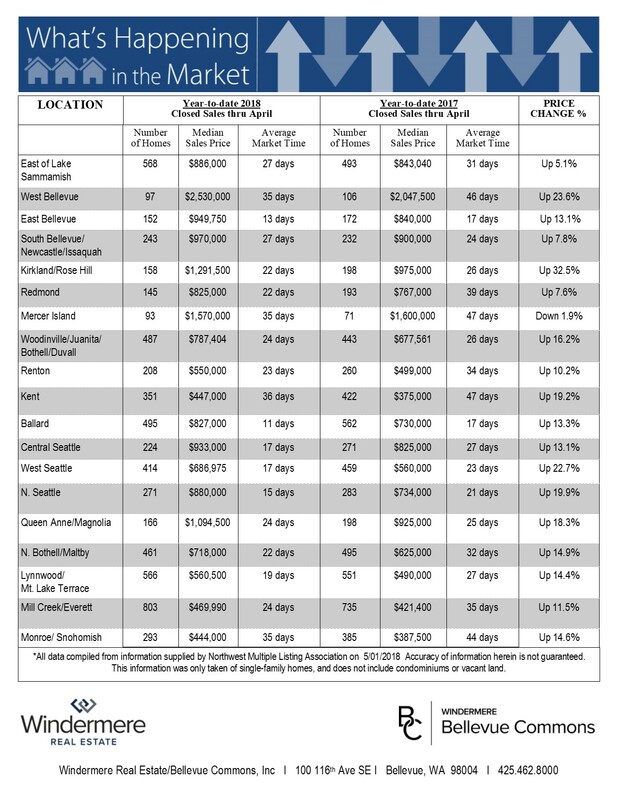 o Sales prices on closed May sales are up 14% to $859,950 vs $753,750 May 2017. The increased inventory means Sellers and listing brokers will need to consider active competition. Condition, marketing and pricing will be more important with rising inventory.